Fire truck used at the Glenthorne field station, South Australia. 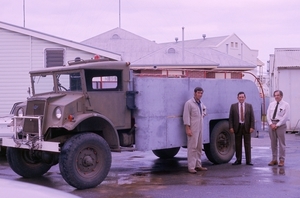 This truck was donated to the National Motor Museum at Birdwood (SA). It is currently on long term loan to the Milang District Historical Museum (South Australia).